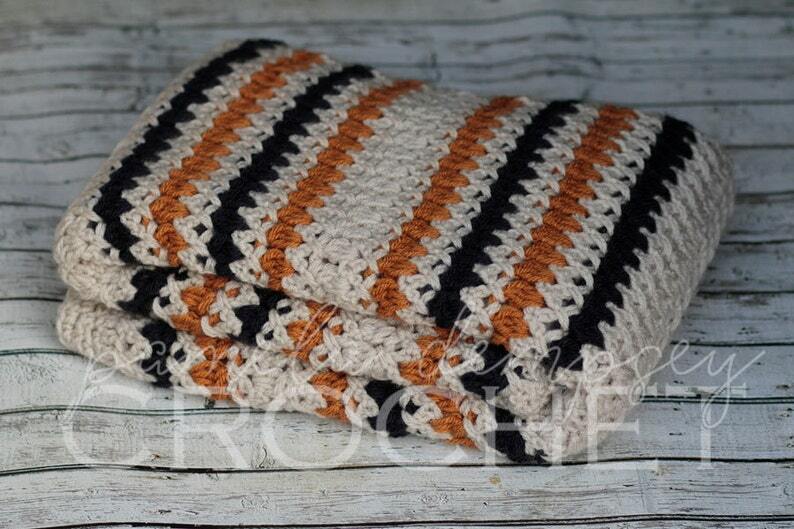 Crochet this gorgeous striped blanket to match any decor or sport team fandom!! Pattern is designed with amazing texture and works up quick!. Written with the beginner crocheter in mind, pattern includes stitch definitions and clear, concise directions. You will need Adobe to read this pattern; it can be downloaded online (www.adobe.com). Please do not copy and/or redistribute this pattern.